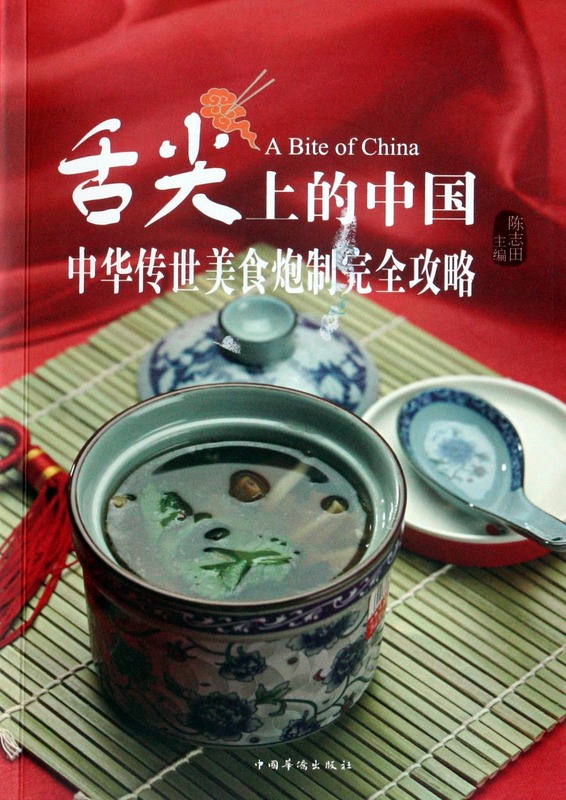 I recently picked up two books of recipes from the Bite of China television series. The first was published in August 2013 and is by Chen Zhitian (陈志田). It is only available in Chinese (so far). There are a number of books related to the television series but this is the only one which seems to be legitimate. It certainly has the high production standards of the television show. Beautifully photographed and with (relatively) clear details in the recipes. Unlike in most western cookbooks, recipes are not listed by main ingredient. They are set out in six vaguely defined chapters. So, if you are looking for a duck dish, for example, you’ll have to go through the whole contents list. I’ve never seen an index in any Chinese book on any subject. 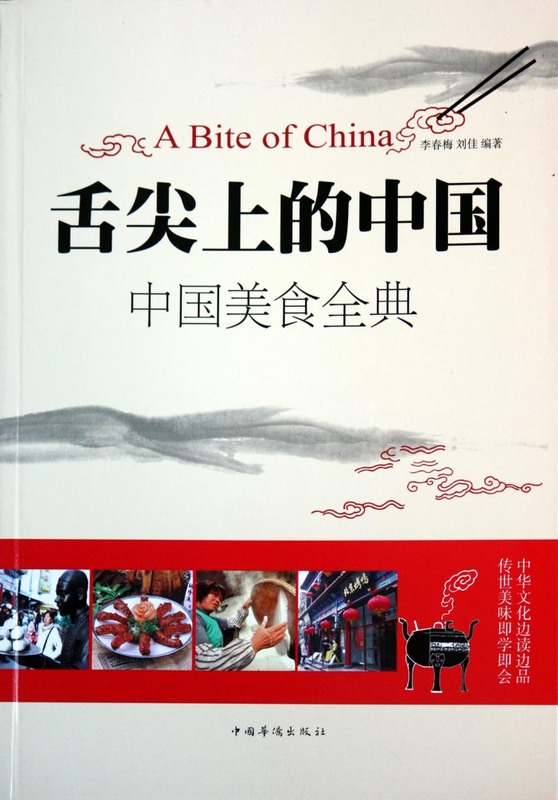 In order to demonstrate the breadth of recipes the book and perhaps to be of interest to anyone who wants to know what is in a popular Chinese recipe book, I have sort of translated the contents list – 187 recipes. This is always problematic. Very often Chinese dishes are very cryptically named. This list contains some literal translations. For some dishes I have totally ignored the given name and given a brief description instead. Any Chinese in the list refers to place names. Some dishes I have left with literal translations of their cryptic names, just for amusement value. I am not happy with some of the “translations” and will work on improving them. I am also certain there are errors in there, too. 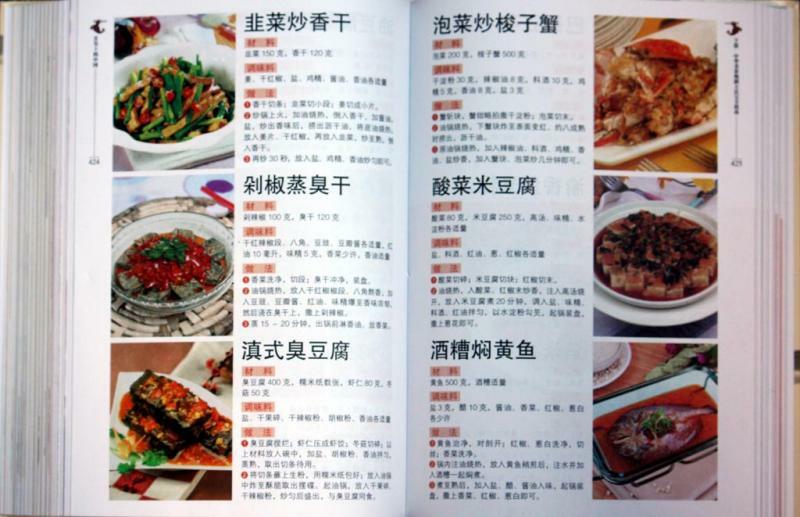 Back in 2008, the Chinese government issued a list of official dish translations for the Beijing Olympics. It is full of weird translations and total errors, too. Interestingly, few of the dishes in the book are on that list. Anyway, for what it is worth, the book’s content list is here (Word document) or here (PDF file). If anyone is interested in more information on a dish, please ask. For copyright reasons, I can’t reproduce the dishes here exactly, but can certainly describe them. Another problem is that many Chinese recipes are vague in the extreme. I’m not one to slavishly follow instructions, but saying “enough meat” in a recipe is not very helpful. This book gives details (by weight) for the main ingredients, but goes vague on most condiments. For example, the first dish (Dezhou Braised Chicken), calls for precisely 1500g of chicken, 50g dried mushroom, 20g sliced ginger and 10g of scallion. It then lists cassia bark, caoguo, unspecified herbs, Chinese cardamom, fennel seed, star anise, salt, sodium bicarbonate and cooking wine without suggesting any quantities. It then goes back to ask for 35g of maltose syrup, a soupçon of cloves, and “the correct quantity” of soy sauce. Cooking instructions can be equally vague. “Cook until cooked”. A few days later, I came across this one. It isn’t so glossily beautiful as the first, but is a huge tome running to over 600 pages. The first 313 contain a number of essays on Chinese food history and culture. 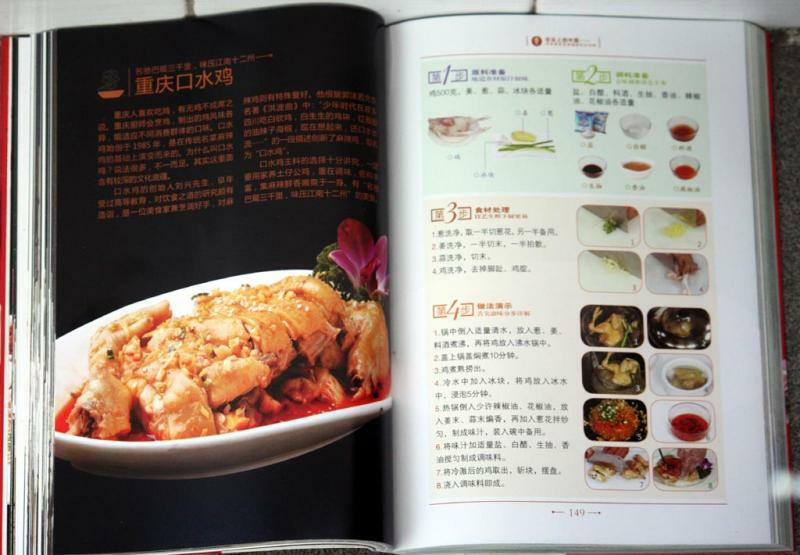 The second half of the book is a collection of recipes. An astonishing 700+ of them! The pictures are a lot smaller, but the ingredients lists are more accurate (i.e. most recipes give quantities for main ingredients and flavourings), as are the instructions, so far as I can see from a quick look through. Contents Lists: Word Document or PDF File.
. This entry was posted on Friday, May 16th, 2014 at 11:51 pm	and is filed under A Bite of China, Food and Drink, Television and Movies. You can follow any responses to this entry through the RSS 2.0 feed. Both comments and pings are currently closed.